Studies show that unsaturated fats are the best fats, but want to make them even better? From storage to selection, we’ve got expert tips for doing fat right. Franklin Becker knows fat. Wait, before you think I’m insulting the man, he’s a former “Top Chef Masters“and “Iron Chef America” contestant, a renowned restauranteur, and the author of a new cookbook called Good Fat Cooking that’s centered around, yep, fat. But we’re talking the good stuff: Unsaturated fats like avocados, nuts, fish, and olive oil– staples in the so-called Mediterranean diet — have been shown to help you stay slim and healthy. But if you really want to get the most out of your healthy fats, you also want to pick the best, most flavorful options. Olive oil adds delicate flavor, aroma, and texture to nearly every ingredient that you combine it with. If it were in a movie, it would get the award for Best Supporting Ingredient. In a salad, olive oil pulls nutrients out of raw vegetables that would otherwise be lost. It adds body and smoothness as a finishing touch to soups and cooked vegetables. As a medium for sautéing, unlike butter, it doesn’t take over. However, like butter, it has a low smoke point, so for aggressive frying at high heat, opt for another healthy oil such as canola or safflower. 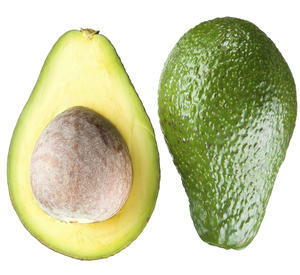 Becker’s top tips: “Look for avocados without any blemishes or dents,” he says. “And if you’re going to use them right away, then they should be a consistent color, usually a greenish black.” Want to hold them for three to five days? Then they should be firm and fairly green all round. Becker recommends putting them into a brown paper bag if you want to ripen them more quickly — which takes anywhere from 12 to 24 hours. All nuts have fat, and their oils brim with elegant, powerful, toasty flavor; they provide little islands of texture and taste in everything they’re added to. The fat in many nuts such as walnuts and pistachios has also been shown to actually lower LDL, the so-called bad cholesterol. Because nuts contain so much good fat, protein, and carbs, they are also high in calories. But if you think you need to avoid them in order to keep your weight under control, surprisingly, the opposite is true: The dense calories of nuts actually make you feel fuller faster. (The scientific term for this feeling of fullness is satiety, which rhymes with “society.”) Where nuts are concerned, a little goes a long way, and they can actually help you maintain or lose weight. Becker’s top tips: The oils in nuts can go rancid quite quickly, so be sure to keep them in an opaque sealed jar, in a cool, dry place. And don’t think of them solely as a snack, either: You can use them as flours, as fillers, as accents in salads, or with cooked vegetables, too. Fish and shellfish are excellent sources of protein; the big difference between them and land-dwelling animals is that the fats in fish are typically very heart healthy. Tuna, salmon, the often overlooked mackerel, and the lowly but delicious sardine, are all great sources of omega-3s, which are critical to keep your arteries clean and free-flowing. But be careful about which fish you eat because it is well known that we have been overexploiting our ocean resources, endangering many species. Always double-check that the fish you plan on eating is sustainably harvested. A number of organizations publish wallet cards and apps that can help you keep track of which species get the green light. Becker’s top tips: First things first, go to a reputable fishmonger. When choosing a filet, it should be nice and clear, and it should have taut flesh with no splits. If you can buy fish whole, Becker recommends doing so — it will usually be of better quality. “Check the gills and make sure they’re nice and red, check the scales and make sure they’re shiny and attached to the fish very firmly, and check the eyes and make sure they’re clear and bulging — with the exception of a wolf fish, which’ll have ugly eyes no matter what,” says Becker.